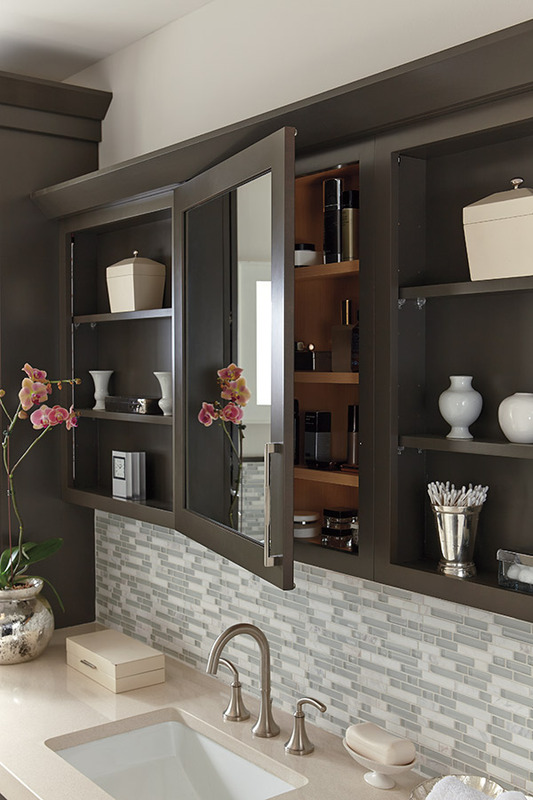 Convenient, spacious and right where it needs to be, our Vanity Mirror Cabinet comes standard in a shallow depth and installed mirror. Height is 30"; depth is 4 9/16". Available widths are 18", 24", 30", 36" and 42".